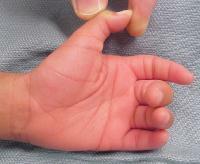 Trigger digits are uncommon in children. The thumb is affected much more frequently than the fingers. 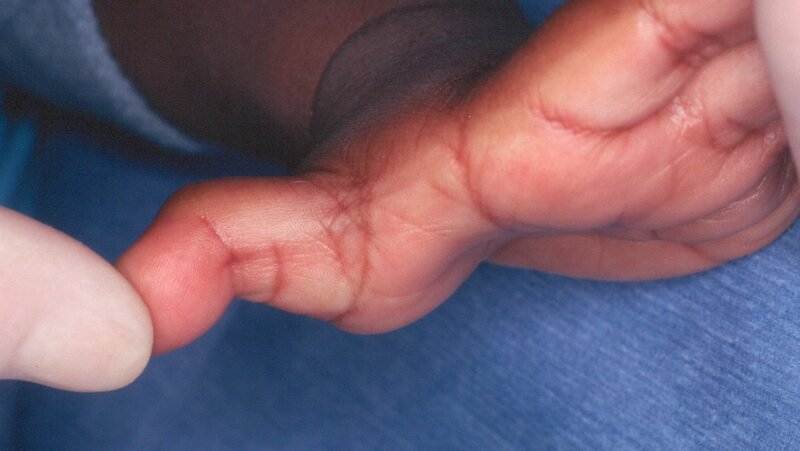 Although there is evidence for a genetic predisposition to the condition, trigger digits in children develop after birth. 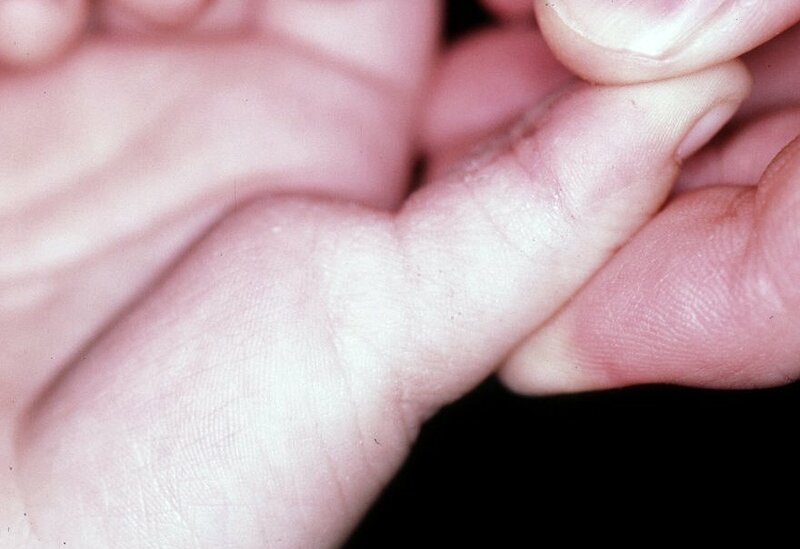 Pediatric trigger thumb appears to be a different entity than pediatric trigger finger. 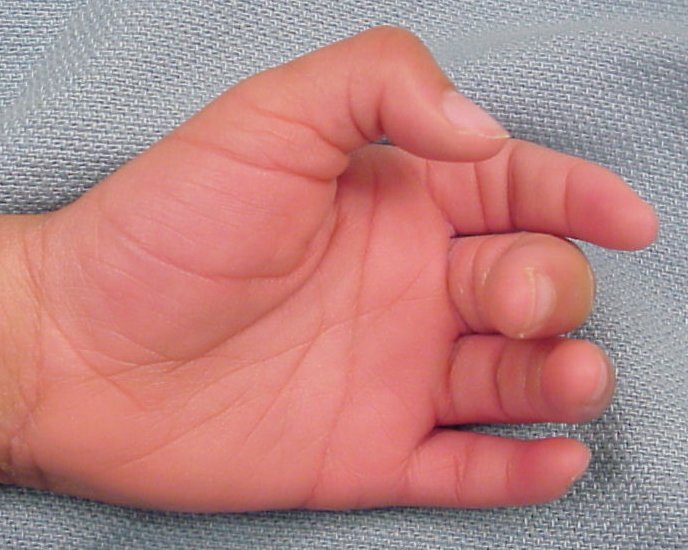 One third of patients with congenital trigger thumb have a positive family history of trigger thumbs, and 20 - 30% of cases are bilateral. Treatment can be postponed until after age 1, as spontaneous regression probably occurs in about 30 per cent of cases. 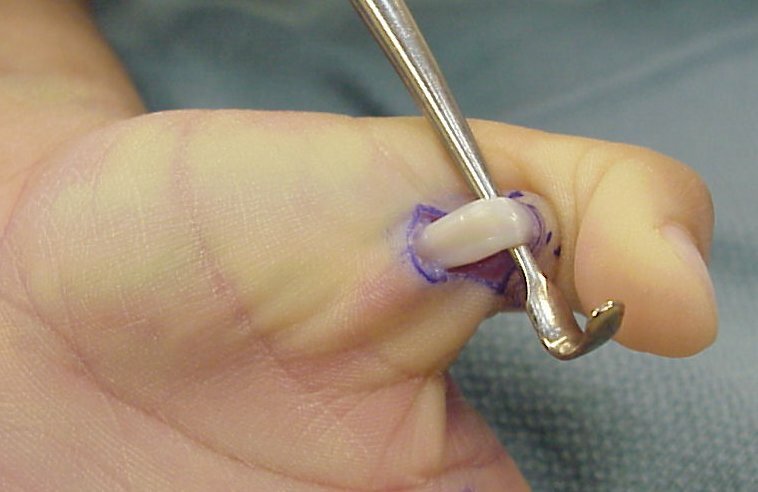 After that age, surgical correction is the best approach to treatment and usually results in normal thumb function. 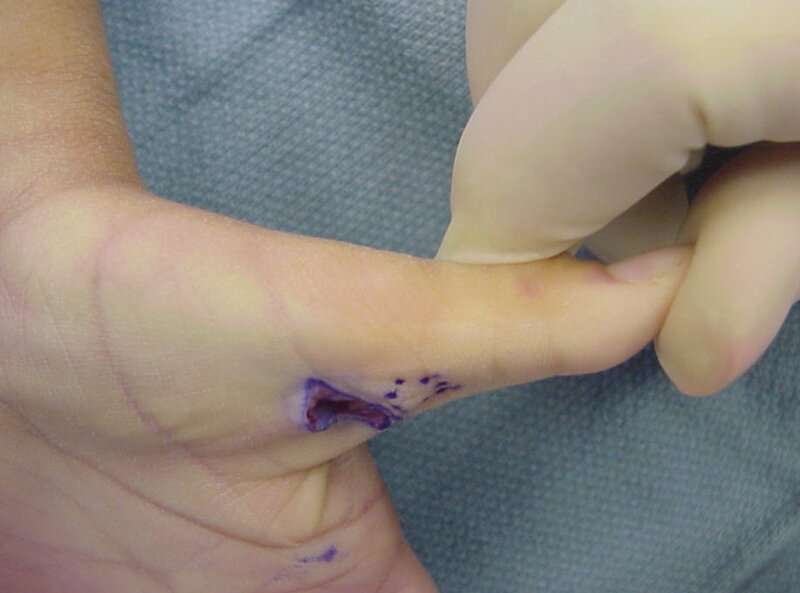 Simple surgical release of the entire A1 pulley is all that is required, but special care is required because of the superficial location of the thumb digital nerves, more easily injured than in surgery for the adult condition. The condition must be distinguished from congenital clasped thumb or congenital absence of the extensor pollicis longus, either of which require completely different treatment. Another patient, typical posture of the thumb. Prominence of the flexor tendon nodule, referred to as "Notta's node" (dotted outline). Release. The tendon has a fusiform firm enlargement. Full extension is immediately restored. 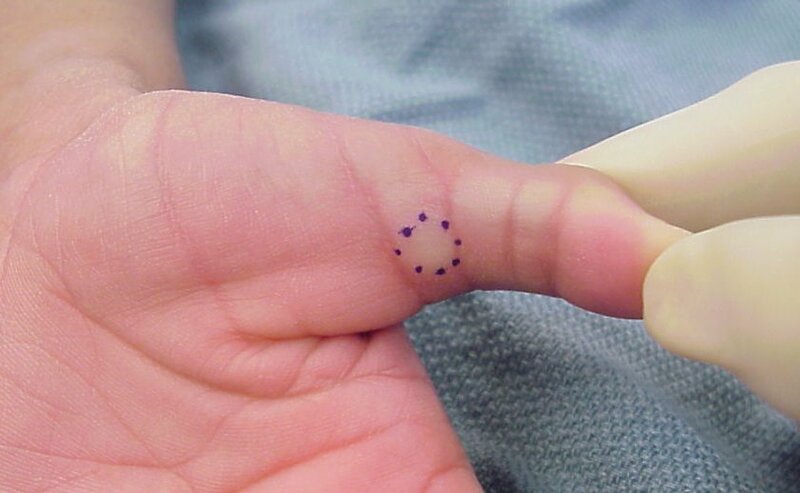 A third patient, demonstrating a very large Notta's node.